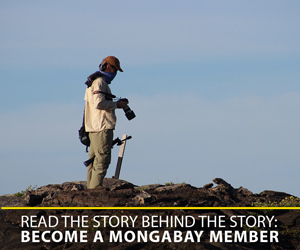 This photo essay comes via Mongabay’s partnership with the Wildlife Conservation Society’s Wild View blog. 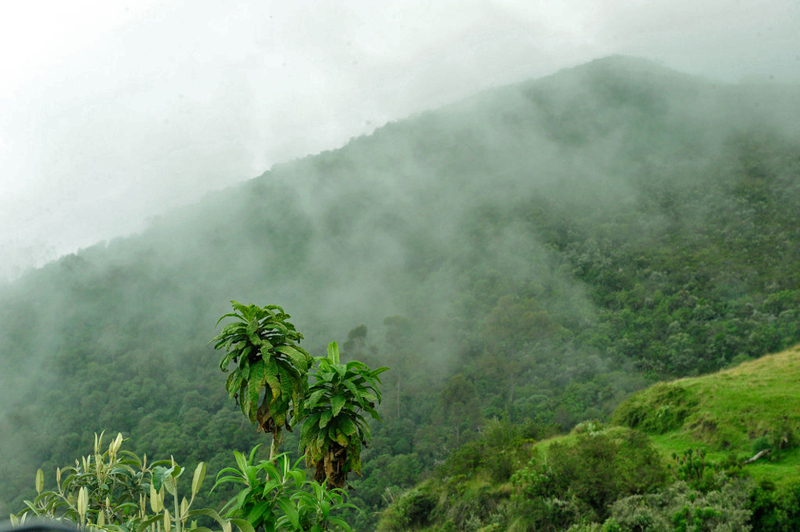 Once a month we’ll publish a contribution from Wild View that highlights an animal species. 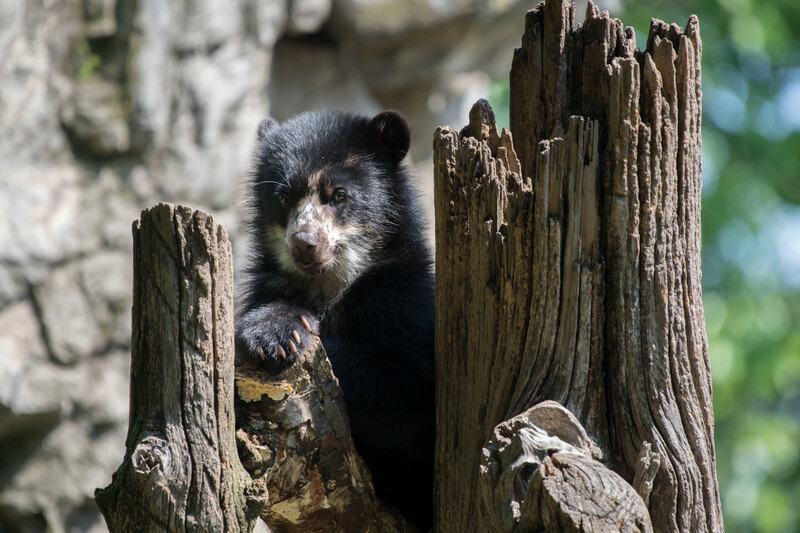 This month, Scott Silver writes about the only bear species from South America – the Andean bear. 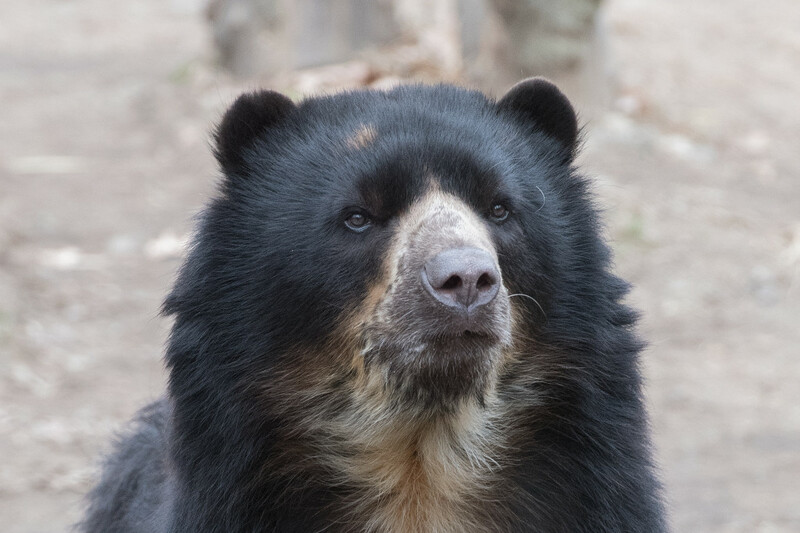 Sometimes called the spectacled bear due to its cream-colored facial markings that can look like eyeglasses, these bears are found in parts of southern Venezuela, Colombia, Ecuador, Bolivia, Peru, and northern Argentina. 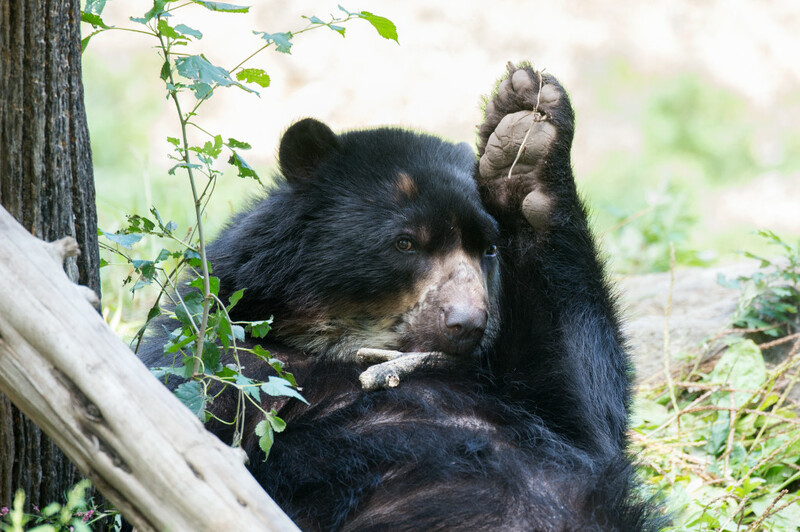 There is only one bear species from South America – the Andean bear (Tremarctos ornatus). 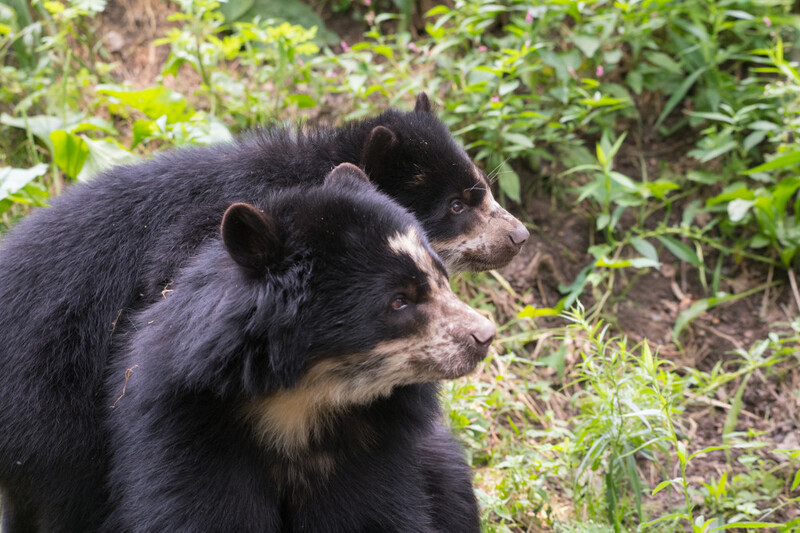 Sometimes called the spectacled bear due to its cream-colored facial markings that can look like eyeglasses, these bears are found in parts of southern Venezuela, Colombia, Ecuador, Bolivia, Peru, and northern Argentina. 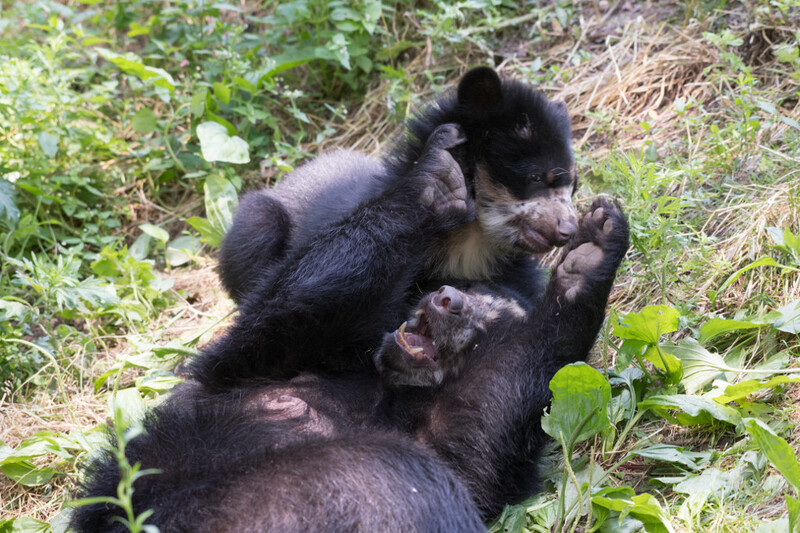 Mostly shy and highly intelligent, Andean bears find refuge on the forested slopes of the Andes mountain range from which they get their name, often at 5-8,000 feet above sea level, and occasionally as high as 15,000 feet above sea level. 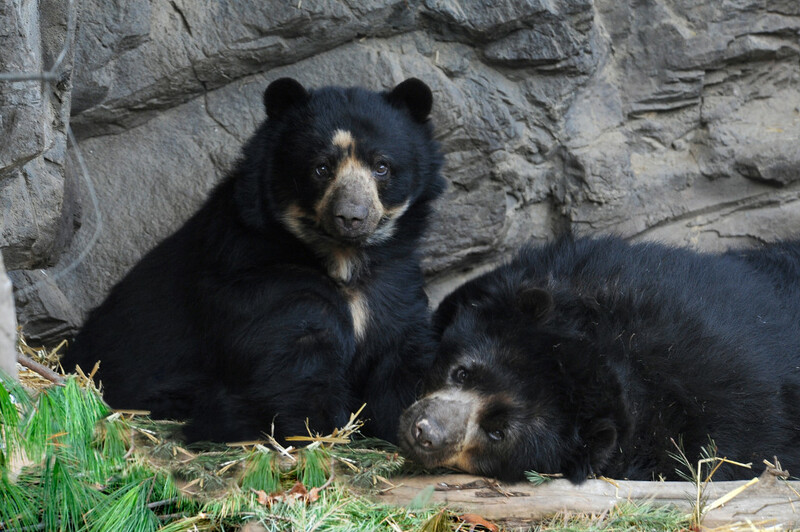 Andean bears resemble the North American black bears in appearance, but are not closely related to them. 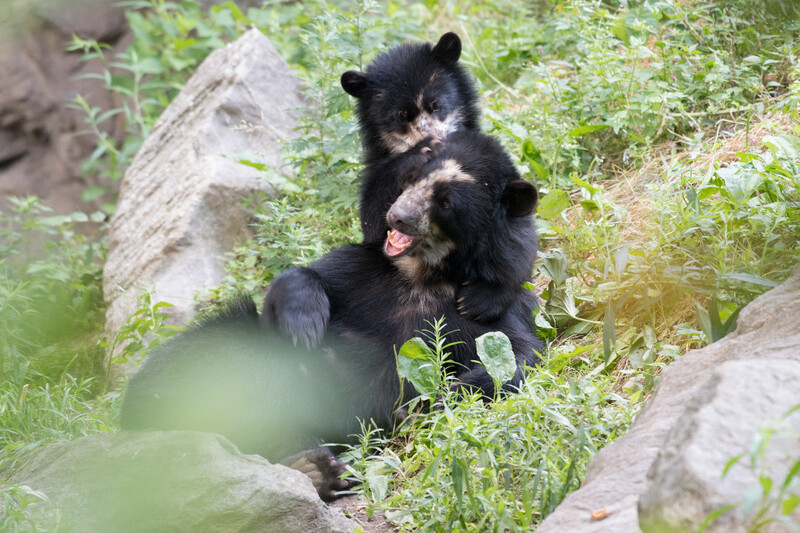 Their nearest relatives were probably an extinct North American bear species called short-faced bears. 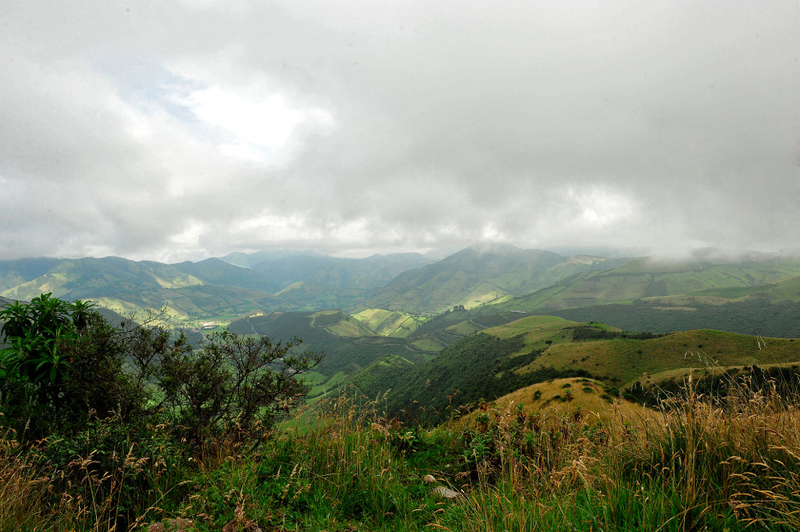 Those bears grew to enormous sizes (as big as 12 feet when standing on its hind legs), and may have been among the largest land carnivores of that time. 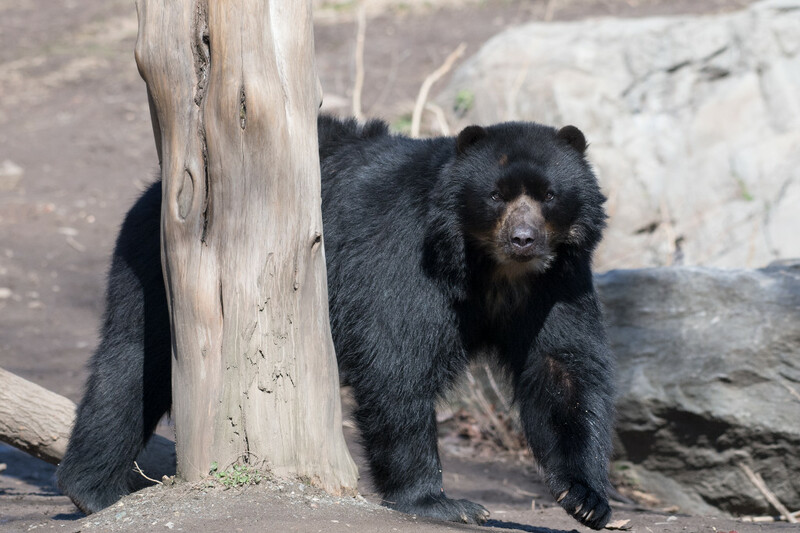 Today’s Andean bears are not as big as their ancestors, with adult males weighing up to 400 pounds, and females slightly smaller. 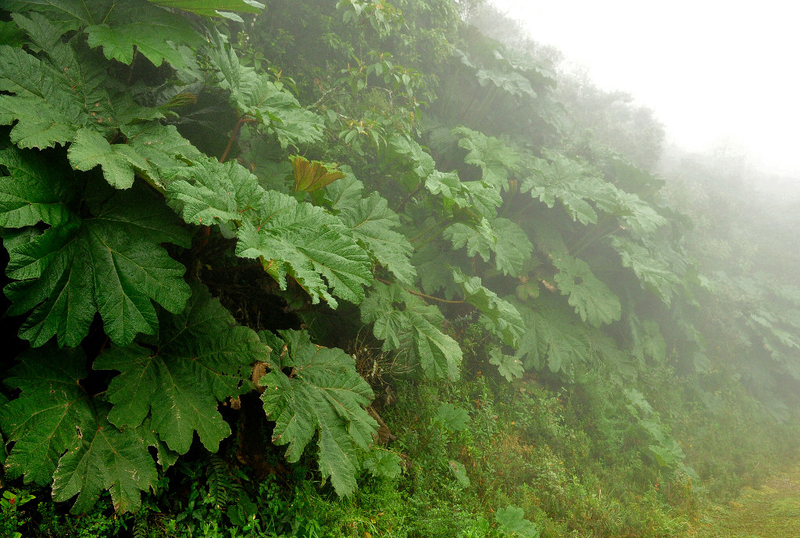 They are also less carnivorous than their extinct cousins likely were, subsisting on fruits, flowers, and other vegetation more so than meat. 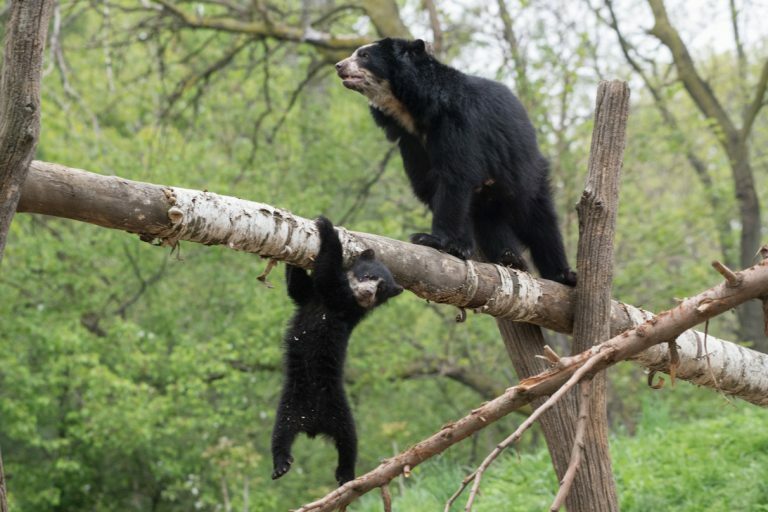 In the tropical forests where they are found, Andean bears spend much of their time in trees, often building nests where they sleep for the night. 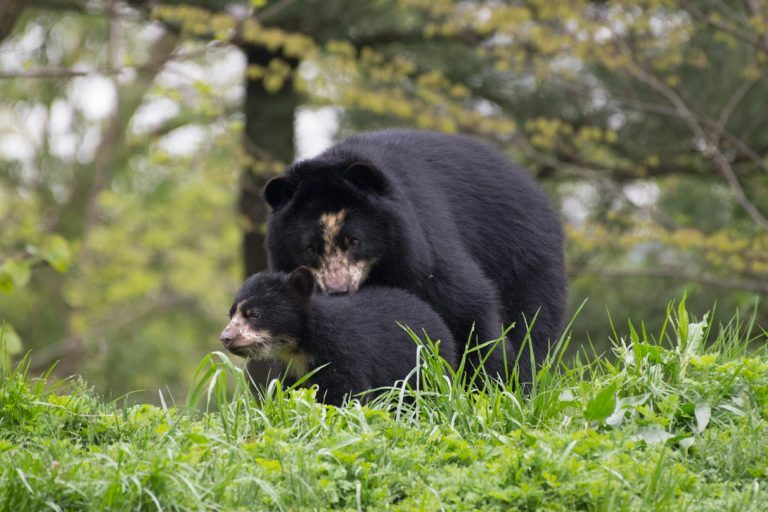 The Wildlife Conservation Society’s (WCS) Queens Zoo is one of 21 Association of Zoos and Aquariums (AZA) zoos in the US that exhibits Andean bears. 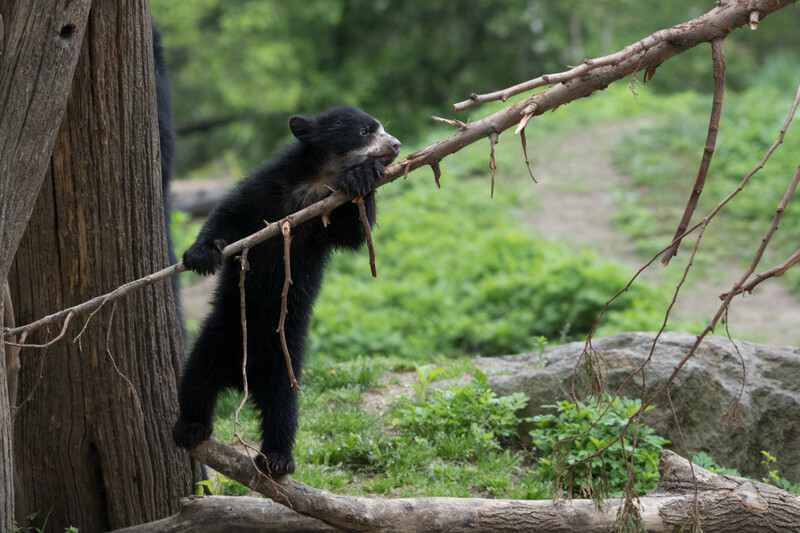 This year, the zoo had a significant birth – the first Andean bear cub born in North America since 2015. 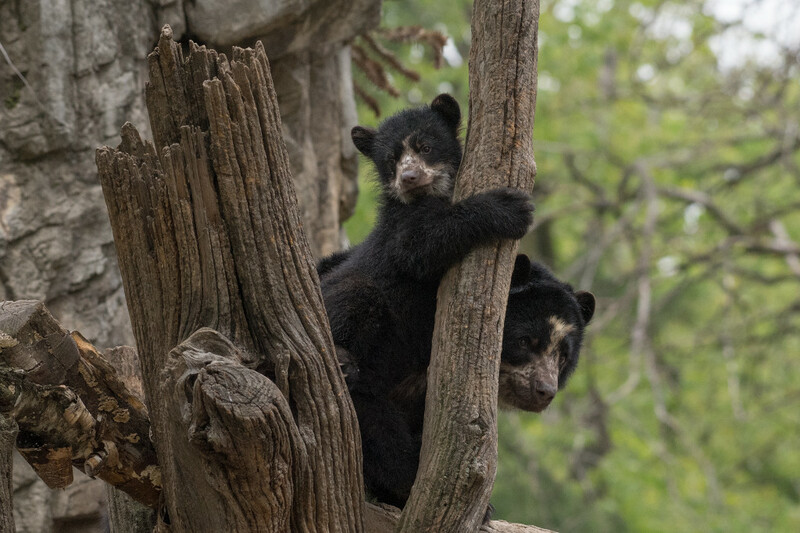 It represents an important milestone in the zoo population that is managed cooperatively through a program called the Species Survival Plan (SSP). 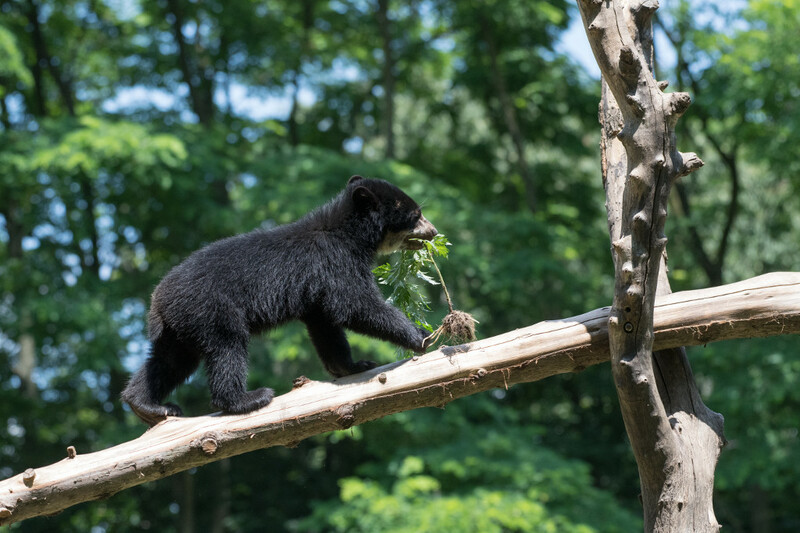 SSP’s are administered under the AZA, by which zoos and aquariums work together to both maximize breeding opportunities and maintain the genetic diversity of animals in human care while also supporting field conservation efforts in their native range. 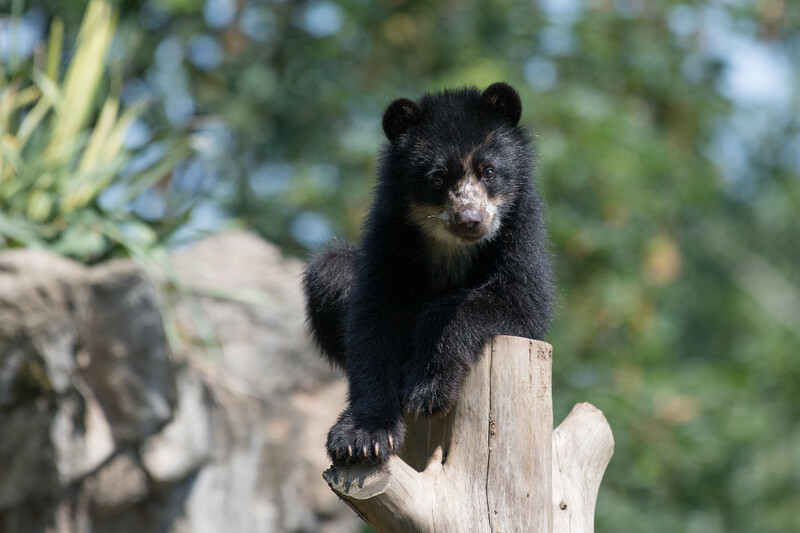 The adorable male cub is the result of several years of planning including the importation of a new male from a zoo in France, and the cooperation of all the zoos that have Andean bears in North America. 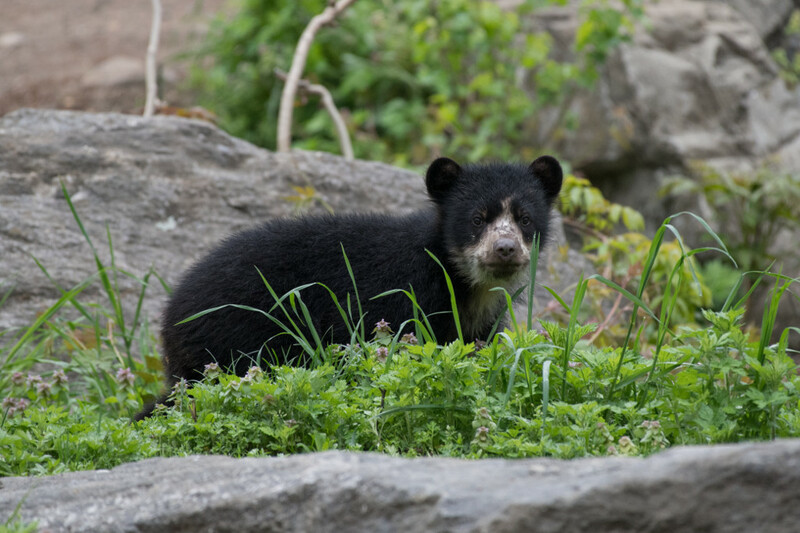 The zoo hopes that this cub is the first of many for his young, first-time mother. 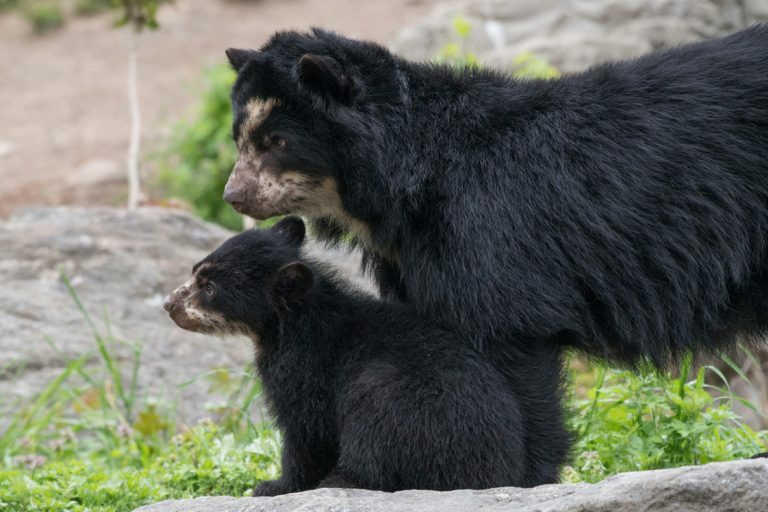 Seeing the antics of the young cub can help others gain an appreciation for this South American bear species, and a greater understanding of what is lost when wildlife vanishes in South America, or anywhere else in the world. 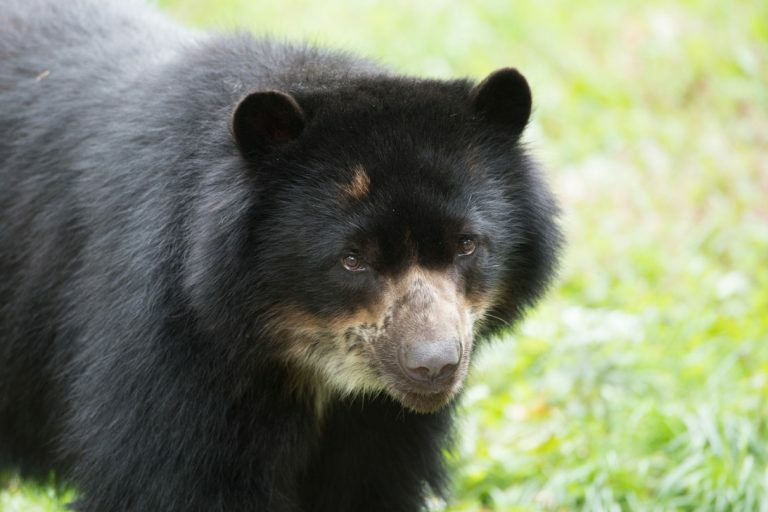 Listed as “Vulnerable” by the IUCN Redlist of Threatened Species, Andean bears face major threats to their forest habitats from agricultural development and are sometimes hunted because of their perceived threat to crop production and domestic animals. 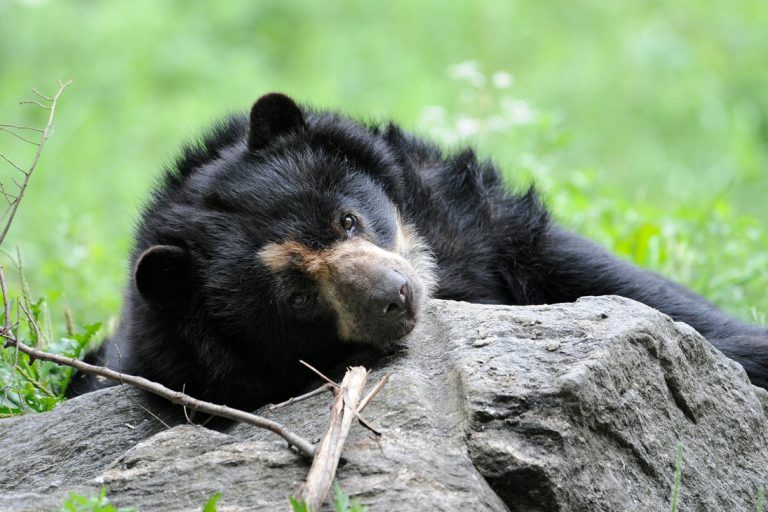 Scott Silver is director and curator of animals at WCS’s Queens Zoo and the SSP coordinator of Andean bears for AZA. Julie Larsen Maher is the staff photographer at WCS.